NASA/JPL-Caltech; Dave Mosher/Business InsiderAn illustration of Mars against the blackness of space. Mars will be at its closest point to our planet in 15 years tonight, making for some prime nighttime viewing. That’s because of a phenomenon called perihelic opposition, in which Earth’s and Mars’ orbits align, bringing the two planets closer together. Perihelic opposition only occurs once every 15 to 17 years, so look up and find the red planet in the sky. 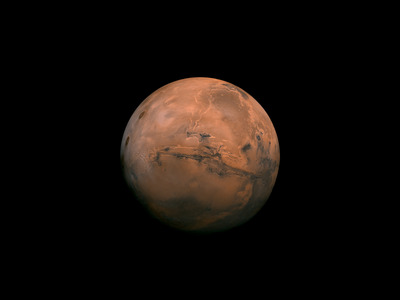 Mars will look brighter in the night sky tonight than it has appeared in 15 years. That’s because the red planet will be at its closest point to Earth since 2003 – 35.8 million miles away, according to The Weather Channel – as our planet passes between Mars and the sun. The reason for this is a phenomenon called perihelic opposition. In simple terms, opposition is when Earth passes directly between Mars and the sun. In May, Jupiter was in opposition to our planet, swinging within 409 million miles of Earth. Mars opposition happens every two years or so – the last one came in May 2016. But this year is special because within a few days of the opposition – which occurred on July 27 – the red planet will also hit the closest point to the sun in its orbit, a point called the perihelion. Perihelic opposition occurs only once every 15 to 17 years, when Earth’s and Mars’ orbits align to bring the two planets close together, according to NASA. But while Mars may look bright and beautiful from your backyard, the reality on the planet is much less friendly. 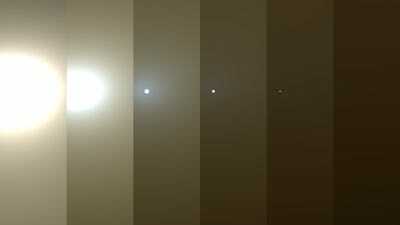 A planet-encircling dust storm – which started in June – is still walloping Mars. The dust storm appears to be starting to die down, but the dust may not settle for weeks. 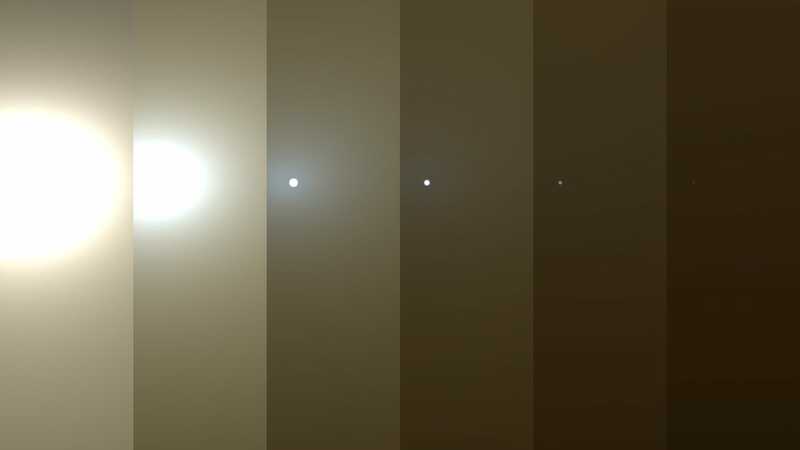 The image below shows a series of pictures that NASA simulated from the perspective of its 15-year-old, solar-powered Opportunity rover in June, before the rover went into sleep mode to ride out the storm. They give a sense of what the sun and sky looked like from Mars’ surface – at the brightest time of the day – as the storm worsened. In the far-right picture, the sun is entirely blotted out to Opportunity. NASA/JPL-Caltech/TAMUSimulated images show what NASA’s Opportunity rover saw as a global dust storm on Mars blotted out the sun in June 2018. NASA’s newer Curiosity rover runs on nuclear power, so it seems to be doing alright despite the storm. In fact, Curiosity is giving scientists a peek into the mechanics of Martian dust storms, and scientists hope to use that data to figure out why some Martian dust storms fizzle out, while others last for months and cover the whole planet.